Join us for the adventure of a lifetime as we tour around the north of Scotland climbing as much as anyone can in seven days! Our goals will be the Old Man of Stoer, Am Buachaille and the Old Man of Hoy, with as much sea cliff climbing as possible squeezed in in between. This guided climbing trip will take you to the most stunning parts of Scotland, away from the crowds, and get you on some of the best climbing routes Scotland has to offer. As with any climbing trip, what we can do will be dictated by the weather, but one thing is for sure that you will be guaranteed a great time. We will provide all transport, ropes, technical equipment, breakfasts and evening meals, tickets for ferry crossings. All you need to do is turn up with a bucket load of enthusiasm and a huge sense of adventure! ​Day 1 (Sunday) - Drive to Stoer and climb Old Man of Stoer. Camp at Stoer. Day 2 (Monday) - Drive to Sheigra and climb Am Buachaille next to Sandwood Bay. Day 3 (Tuesday) - Climb A'Chaileach at Cape Wrath after a ferry and taxi ride to get there. 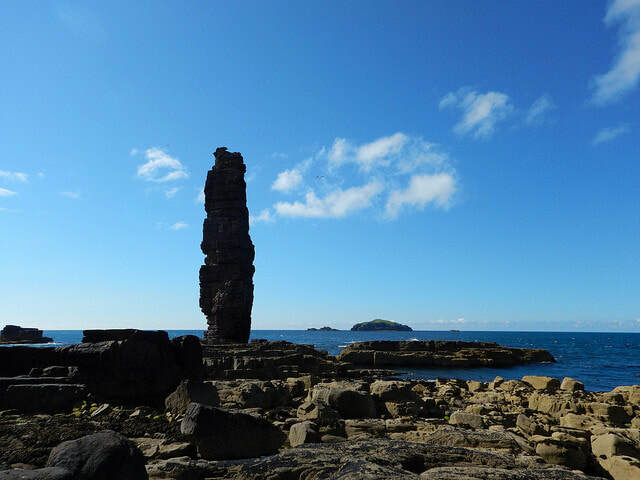 Day 4 (Wednesday) - Climb at Sheigra sea cliffs then travel to Scrabster, take ferry to Stromness on Orkney, another ferry to Hoy and a taxi to Rackwick Bay. Night in the bothy. 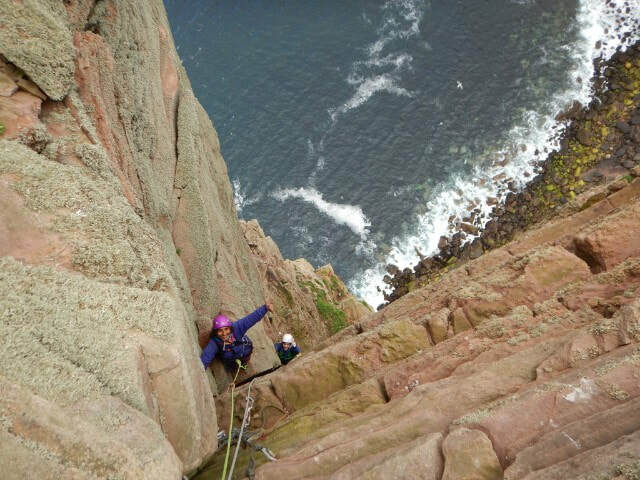 Day 5 (Thursday) - Climb Old Man of Hoy and spend second night at the bothy. Day 6 (Friday) - Travel back to Inverness. 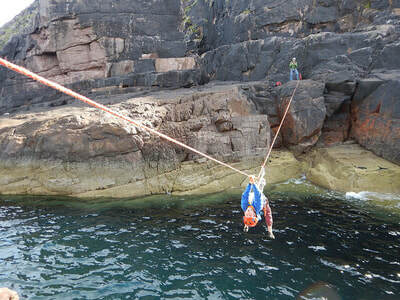 There might be time for a quick climb at Latheron Wheel sea cliffs on the way back if we’re really keen! If you have any questions about this trip or would like to make a booking please get in touch and we will get back to you as soon as we can. ​We will provide transport for the entire six days and the cost includes all camp or bothy dinners, ferries, taxis, guiding, jokes and fun. The only extras are your lunches and snacks during the days, meals out if we choose to do this (Lochinver Pie Shop is very good!) and bunkhouse/hostel if we choose to do this. ​The weather in Scotland can change in a matter of minutes. Rain is common and it can regularly feel very cold on sea cliffs, even in the summer on a sunny day. Make sure you are ready for your trip by packing the items on the list below. Helmet, harness, belay plate, karabiner, rock shoes. Warm clothes for climbing in (not your best, it’s a messy business with nesting fulmars!). It can get cold in a breeze even on a sunny day. Small rucksack for climbing big stacks with. Medium rucksack for walking to the stacks with. Big holdall for everything else to leave in the van or to take to the bothy on Hoy. Lunches and day time snacks. We will be able to buy more as we go but it would be useful if you have enough for the first three days. Swimming stuff! A swimsuit and towel or something you don’t mind getting wet. Sun cream and sun glasses. A small tent, sleeping bag and mat.